Having just returned from Oklahoma and Texas, I was reminded of the challenges that spring pasture management can pose. It’s really a good news-bad news situation. The good news: There is more than ample forage growth to meet the nutritional needs of the herd. The bad news: There is more than ample forage growth to meet the nutritional needs of the herd. That’s right ... too much pasture forage becomes both a blessing and a curse. 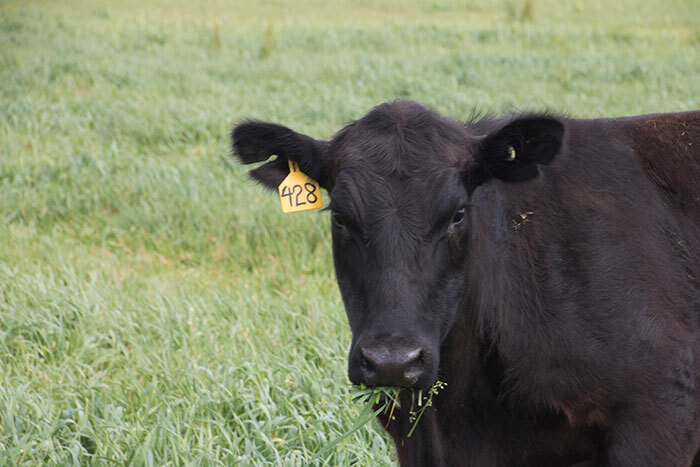 North or South, nearly all ranchers and farmers must find their own way through this cool-season forage flush without wasting valuable feed and keeping forage quality at an acceptable level. Here are five thoughts for consideration as the spring commences. As one rancher recently reminded me, “I need more time to think.” Perhaps this is always the case, but thinking days and even weeks ahead is perhaps no more important than in the spring when matters of cattle and lightning-fast forage growth are involved. It’s not only important to have Plan A in mind but also to think through Plans B, C, and D if weather conditions cause initial strategies to be aborted. Dealing with vast amounts of spring forage growth is much easier when the approach is to “divide and conquer.” Rotational grazing allows for the uniform removal of forage growth in one area at a time. It also makes it possible to pull some paddocks out of rotation. These paddocks can be harvested as hay and fed during the summer slump or as a winter supplement. The end game is to utilize as much high-quality forage as possible and minimize unutilized forage growth that gets too mature. Though it’s always a good idea to routinely take a tour of all pastures, it’s especially important in the spring. Forage growth based on species and past management will vary. What is the most convenient rotation pattern may not be the most effective and efficient movement of cattle. One of the best strategies to employ in the early spring is to keep paddocks small using portable fence and move cattle fast. This is sometimes referred to as flash grazing and will help to slow the accelerated spring growth. Pastures that were grazed extremely tight last fall or during the winter are not the best candidates to begin grazing. They will likely already be delayed compared to those areas that were not grazed hard during fall and winter. Generally speaking, seedheads are the enemy. Once seedheads form, forage quality declines rapidly. Cattle will begin to reject the mature growth for younger vegetative material. Further, the presence of seedheads tends to suppress the initiation of new forage tillers. In the specific case of Kentucky 31 tall fescue, seedheads contain a high concentration of the endophyte toxin. Seedhead suppression through grazing, cutting, or with a seedhead-suppressing herbicide is especially important to minimize performance losses caused by the toxin. It’s common to see some grass pastures left out of rotation and cut for hay. Spring-cut grass hay can be some of the best forage of the year or it can be some of the worst; timing is the key. Grasses have a higher percentage of digestible fiber than legumes when cut early. If allowed to mature past the late boot to early seedhead stage, forage digestibility declines rapidly. Early cutting also allows for a faster return to the grazing rotation. Weather permitting, cut cool-season grasses when the first seedheads are visible. This will result in harvested forage that is high in TDN (total digestible nutrients) and protein. This is the most efficient means to cut future supplementation costs.